Hollywood is preparing to release a new series called "The Carrington Event. "* It's based upon the very same premise as my book, PULSE, which is, life in the aftermath of a catastrophic EMP (electromagnetic pulse), a solar flare. What was "The Carrington Event?" When a solar storm arcs out into space, it's like the detonation of a billion nukes going off at once. Thank goodness the 93 million miles between us and the sun are there to shield us from the worst after-effects of such mind-bending explosions. But are we always shielded? In 1859 a solar storm (afterward called "The Carrington Event", for the scientist who witnessed it from his personal observatory in London) managed to reach earth's atmosphere. It created havoc with the fledgling circuitry in existence at the time, namely telegraph systems. Today's fragile electric grid would have been severely compromised, if not rendered completely inoperable. Note that the words "shocking operators" (above) doesn't mean that they were shocked, as in surprised. It means they were literally, electrically shocked. Some saw "streams of fire" shooting forth from the circuitry, and in some offices, telegraph paper combusted into flames. The following day, after unplugging their equipment (which hadn't been operable) operators were amazed to find that now they could send some messages--solely using "auroral current." The atmosphere was that charged. The United States Congress appointed a commission to study what effects an EMP would have on the United States today. The picture isn't pretty. **** Unlike that early telegraph system, today we use the electric grid for far more than just sending telegrams. And as the infrastructure of electric systems and electronic circuitry has grown, it has become increasingly interdependent--and fragile. The characters in PULSE are dealing with a "grid-down" world with no electricity--it's all been fried by the EMP. To them, and for anyone in such a situation, it feels like the whole world has stopped working. "What do you do when the whole world suddenly...stops?" The book follows three teenagers and their families as they discover different answers to that question, based on their different circumstances when the PULSE occurred. 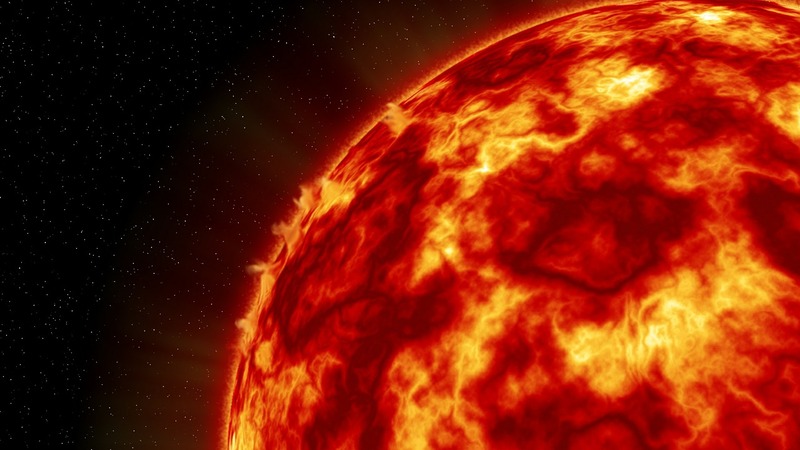 The Carrington Event reminds us that solar flares happen, and can happen again. Unfortunately, solar activity isn't the only way an EMP could strike America. As the following news clip demonstrates, there are other threats to our country that could result in a catastrophic EMP. The Mormon church has encouraged its adherents to store a minimum of a year's supply of food and other necessities for decades. I don't admire Mormonism, believe me, but I do think Christians need to consider the idea that stewardship includes a calling to be prepared for the unknown. Not out of fear, but out of wisdom and obedience. I have a question for you: What would YOU do if such a thing occurred? How would your family fare? I wrote PULSE as a wake-up call to the church, first, but also for anyone who is concerned with readiness in the event of a catastrophic emergency. I pray that an EMP of such proportions never happens; or that a terrorist's bomb never sets one off. But what if it did? The Academy of Engineering in London advises, "Don't panic, but prepare." What do you think? Is it possible to be ready for such a thing? 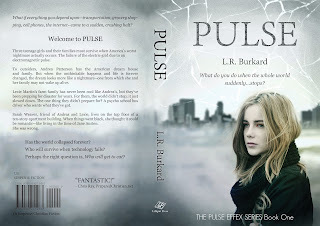 PS: A current two-book giveaway of PULSE is happening over at PreparedChristian.net. Leave a comment to enter the drawing and you could win a free copy. I would go back to what I learned as a child and young adult. Reading books from paper. Writing everything down which is what I do as a back up anyway. Playing board games and cards. Converting everything to heat and cook by fire. Most people today are so spoiled with electricity and technology that they would have a hard time surviving. Right. "Conditioned" to electricity is probably how I'd put it. We're just used to having it. But we'd certainly have to learn how to do without, such as doing the things you mention--and many, many more. Pray it never happens! Thanks for sharing. Yikes. Very eye opening indeed.